If you are planning cycle touring the UK you will find a great selection of value accommodation on offer from the Independent Hostels UK network (IHUK) of over 300 hostels, camping barns and bunkhouses, many of which have overnight bike storage. They generally provide self-catering facilities and are suitable for singles, couples and groups seeking friendly, clean and inexpensive accommodation without membership requirements; prices start from around £8 per night. 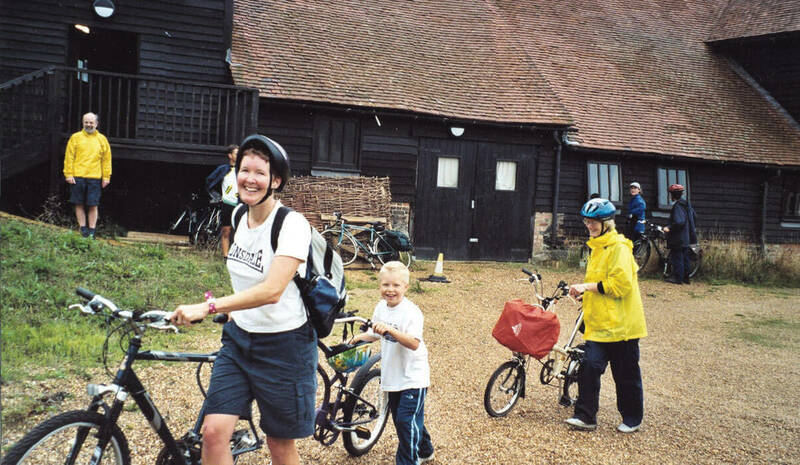 PUTTENHAM ECO CAMPING BARN, near Guildford, Surrey is located in the Surrey Hills Area of Outstanding Natural Beauty, ideal for cyclists riding the North Downs Way and NCN route 22. An overnight stay is £10 for under 18s and £12 for adults but anyone arriving by bike receives a £2 ‘green’ discount. DALES BIKE CENTRE is right on the Yorkshire Dales Cycle Way near Fremington and provides an ideal base for cycling in the area. The four-star graded hostel has a cafe and bike shop plus bike hire, workshop and secure storage facilities; from £24 per night for bunk bed and breakfast. Wales is well served by the IHUK network with 65 places from which to choose for your cycle touring. Three bunkhouses in Powys, for example, have bike storage, namely RIVER CABIN near Erwood on NCN route 8; BEILI NEUADD BUNKHOUSE at Rhayader and PLASNEWYDD BUNKHOUSE near Llanidloes, which also offer bike hire; these are from £12.50 per night. PIGGERY POKE 4 STAR HOSTEL near Felinwynt is on the Celtic Way long distance cycle route and just four miles from the challenging Lon Teifi which links Fishguard with Aberystwyth (£15 per night). In Scotland TROSSACHS TRYST is a purpose built hostel set amidst beautiful scenery near Callander, Perthshire. It’s on the NCN route 7c and has an on-site cycling centre which also sells basic provisions; prices from £15 per night. To help those planning cycle touring choose the hostel that’s right for them, the IHUK produces a neat, annual handbook that fits easily into a rucksack, or large pocket. At least one page is devoted to each hostel with a full description of facilities, price guidelines, contact details and colour photographs. Backpackers’ hostels are aimed at the independent traveller and tend to be very cosmopolitan. Self catering facilities can be minimal where breakfast is included and good local eateries exist nearby. There will be emphasis on guest socialising with common areas, internet facilities and often an in-house bar. The number of beds range from around 30 to over 800 and prices from £14 to £20 in dormitories and rooms. Camping Barns are very basic accommodation usually on a farm and often described as stone tents. In a previous life they might have been a stable, corn store or a cattle byre, now cleverly converted to provide simple, self-catering accommodation. There will be no bedding and often only a hard sleeping platform so guests need to bring a sleeping bag and mat; it’s also quite common for the food preparation area not to have a cooker or utensils. Camping barns are very rural and sometimes so remote they have no electricity. Prices are low, from around £8pp. Although every hostel within the IHUK network can accommodate groups, there are some that will not accept individuals and minimum group sizes are specified. These group hostels are often outdoor centres in their own right or a large house operated by a trust. They usually provide catering and can sometimes organise outdoor activities. Group accommodation centres can have up to 90 beds, often with dormitories. You can send a message to all the accommodation ideal for your group and selected by area using our group accommodation enquiry service.